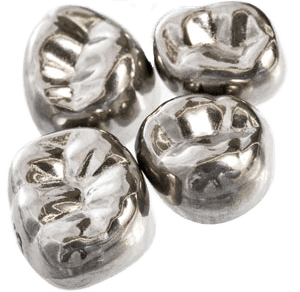 An all metal crown requires less tooth removal to form the crown base. A metal crown is the strongest of the crown types and may be the best alternative to withstand the strong forces of chewing. Molars and other posterior teeth may need a metal based crown or an all metal crown.